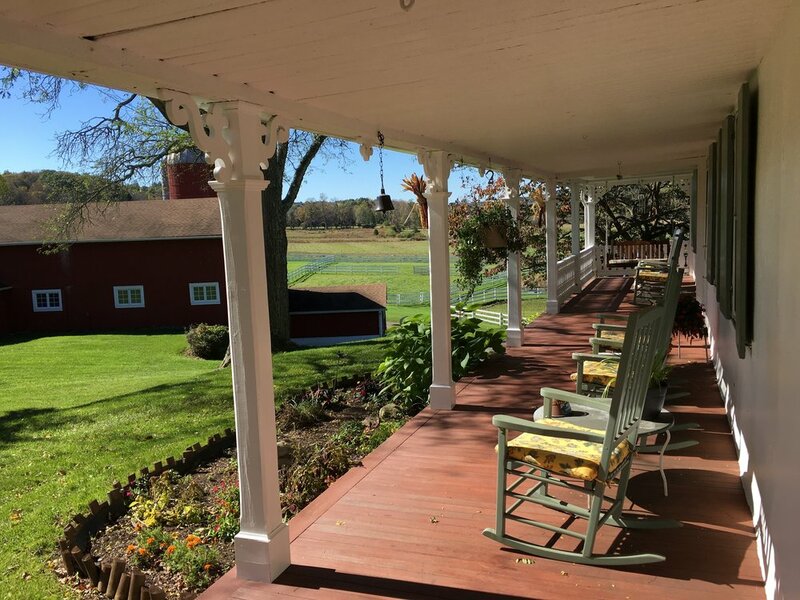 The historic 1774 home at Tamerlaine offers a welcoming and relaxing environment for our volunteers. 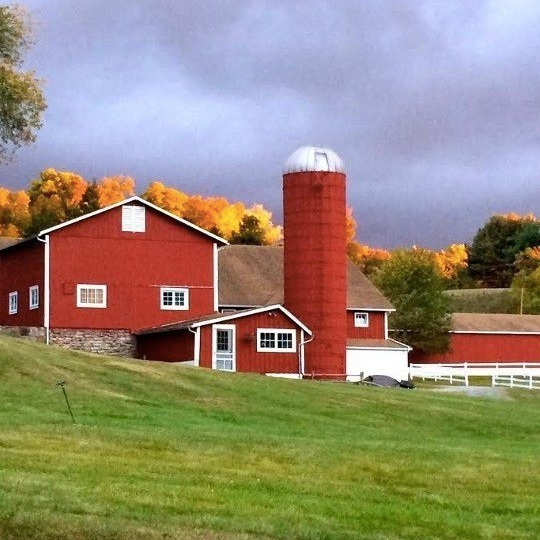 Volunteer farm stays are customized and based on your desires and interests. All rooms are available for a donation to the sanctuary. 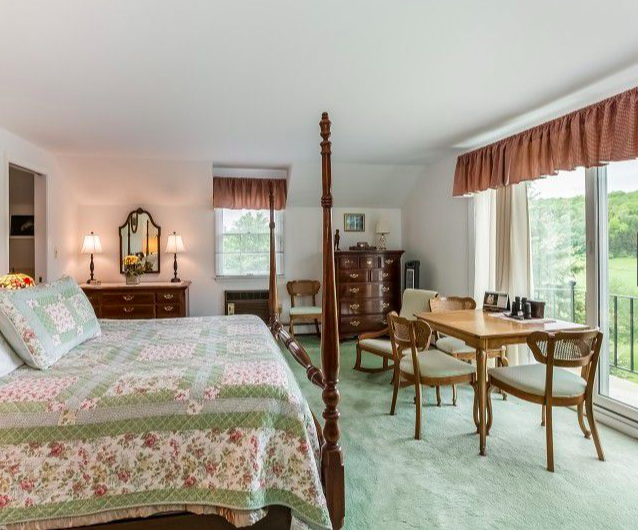 KING SUITE: King bed, balcony with sweeping views of the pond and property, fireplace, private bathroom with jacuzzi and shower, and walk-in closet- suggested donation. QUEEN SUITE: Queen Bed, adjoining living room, two different views of the sanctuary, and private bathroom- suggested donation. 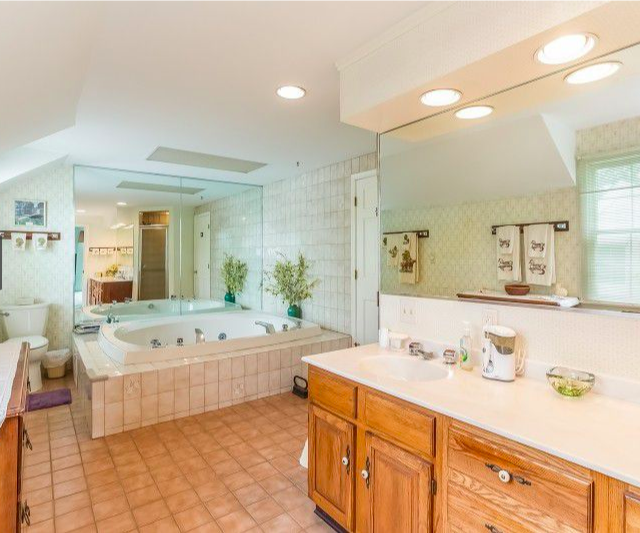 FAMILY SUITE: Three small rooms and shared bathroom: suggested donation. - Queen room: one queen bed, views of the sanctuary, and shared bathroom. 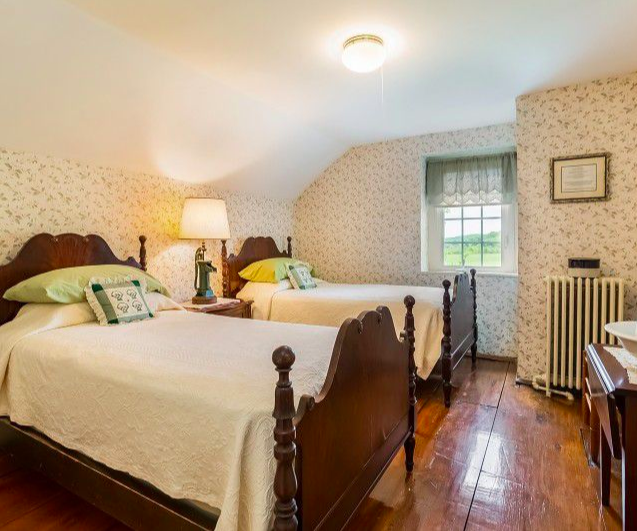 - 2-Twin room : two twin beds, views of the sanctuary, and shared bathroom suggested donation. - Single (economy) room: twin bed, window overlooking the property, and shared bathroom (Only available as an add-on for large groups). 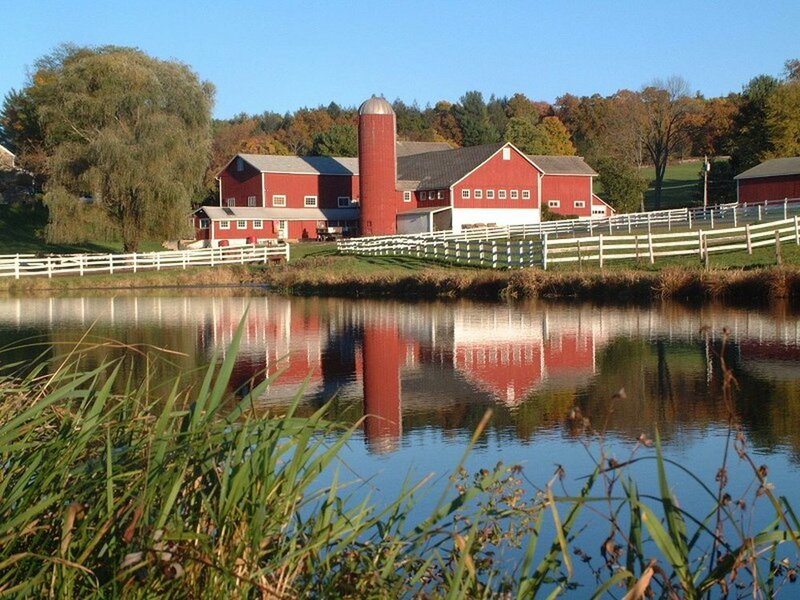 Our 336 acre preserved sanctuary is equipped with beautifully maintained barns, stables, fenced-in pastures and hay fields where visitors can walk the grounds and enjoy the natural setting and beautiful views. 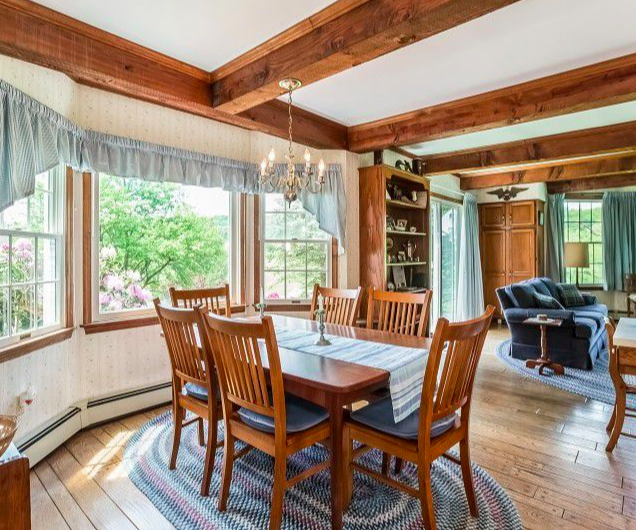 A charming colonial-era bed and breakfast overlooks the entire site. One of the barns has been converted into our visitor and educational center. 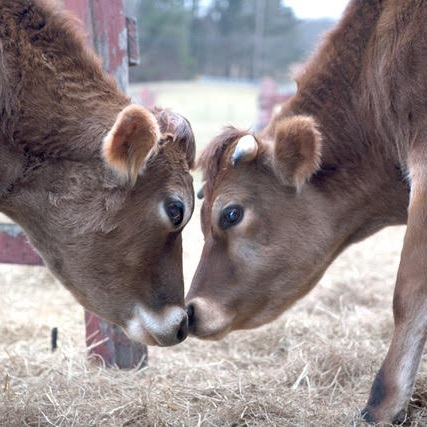 Our sanctuary is home to over two hundred animals including goats, chickens, cows, sheep, horses, rabbits, pigs, ducks and turkeys. Our animals love spending time with human visitors. We will create wildlife habitats for animals in danger, bring back native species of plants and create sanctuary space for pollinators in need, such as the monarch butterfly. Our education programs are geared towards a broad audience. We are bringing together nature conservationists and animal protectors in a full circle of care and respect for all. We host parties and events year round on the property. We are preparing for the build out of our new animal hospital, art gallery/event space and education center. The history and grandeur of this property is a draw and has already made it a popular local attraction. Montague is centrally located at the northern end of the Delaware Water Gap National Recreation Area, the eastern edge of the Pocono Mountains and the southern edge of the Catskill Mountains. The town of Milford, PA, located three miles away from the sanctuary, is a popular weekend destination for New York City dwellers and home to a five-star hotel, a spa, and numerous cafes, restaurants, bars and shops. Visit the Milford Beach, hike to beautiful waterfalls, or take a tour at the Grey Towers National Historic Site. The historic town of Port Jervis, NY, known as the gateway to the Catskills, is also three miles away from the sanctuary. Port Jervis has experienced a cultural renaissance and is a hub for public transportation from New York City (train and bus). 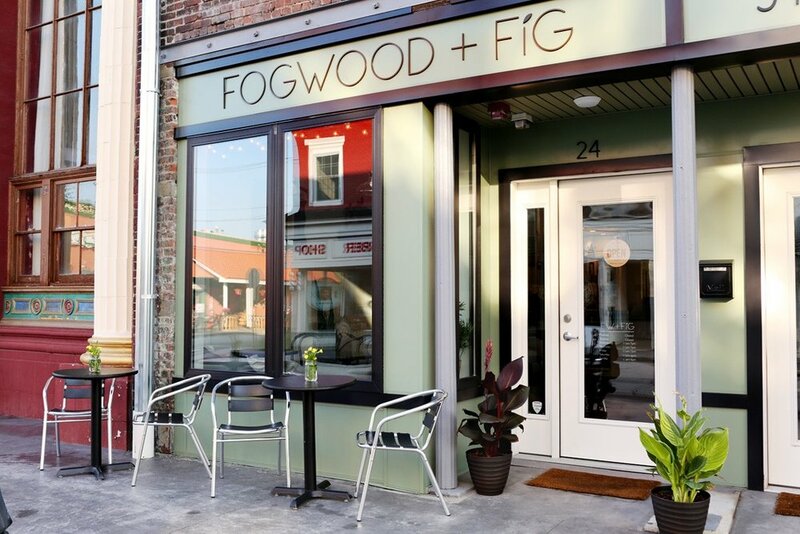 Front Street, the main thoroughfare, features an incredible vegan restaurant — Fogwood & Fig, a veg-friendly micro-brewery — The Fox & Hare, a veg-friendly stylish coffee shop — Foundry 42, Lotus 108 Yoga Studio and several antique shops, all within a five minute walk from the train station.